Where will New Horizons Go After Pluto? Oct 16, 2014: Peering out to the dim, outer reaches of our solar system, NASA’s Hubble Space Telescope has uncovered three Kuiper Belt objects (KBOs) the agency’s New Horizons spacecraft could potentially visit after it flies by Pluto in July 2015. 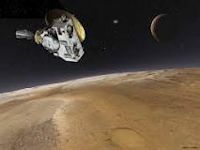 “This has been a very challenging search and it’s great that in the end Hubble could accomplish a detection – one NASA mission helping another,” said Alan Stern of the Southwest Research Institute (SwRI) in Boulder, Colorado, principal investigator of the New Horizons mission. The KBOs Hubble found are each about 10 times larger than typical comets, but only about 1-2 percent of the size of Pluto. Unlike asteroids, KBOs have not been heated by the sun and are thought to represent a pristine, well preserved deep-freeze sample of what the outer solar system was like following its birth 4.6 billion years ago. The KBOs found in the Hubble data are thought to be the building blocks of dwarf planets such as Pluto. The New Horizons team started to look for suitable KBOs in 2011 using some of the largest ground-based telescopes on Earth. They found several dozen KBOs, but none was reachable within the fuel supply available aboard the New Horizons spacecraft. Following an initial proof of concept of the Hubble pilot observing program in June, the New Horizons Team was awarded telescope time by the Space Telescope Science Institute for a wider survey in July. 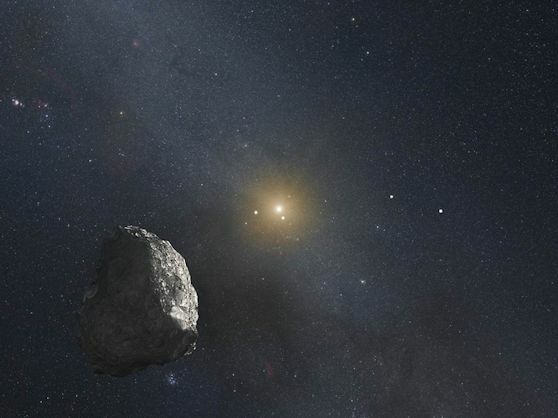 When the search was completed in early September, the team identified one KBO that is considered “definitely reachable,” and two other potentially accessible KBOs that will require more tracking over several months to know whether they too are accessible by the New Horizons spacecraft. This was a needle-in-haystack search for the New Horizons team because the elusive KBOs are extremely small, faint, and difficult to pick out against a myriad background of stars in the constellation Sagittarius, which is in the present direction of Pluto. The three KBOs identified each are a whopping 1 billion miles beyond Pluto. Two of the KBOs are estimated to be as large as 34 miles (55 kilometers) across, and the third is perhaps as small as 15 miles (25 kilometers). The Johns Hopkins University Applied Physics Laboratory (APL) in Laurel, Maryland, manages the New Horizons mission for NASA’s Science Mission Directorate. APL also built and operates the New Horizons spacecraft.